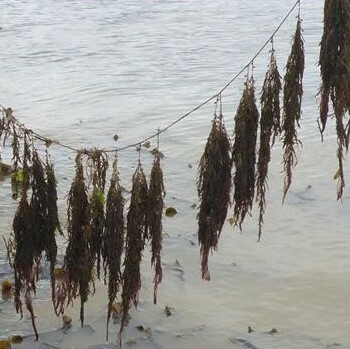 Wireweed is a distinctive large olive-brown seaweed originating from Japan, it is believed that it was introduced to the UK with imports of Pacific oysters. 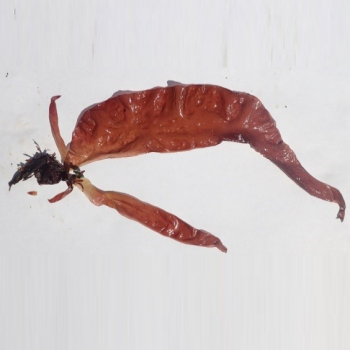 It is often over 1m long and its lateral branches hang like washing from a line when held out of the water. It is distributed widely around the UK. 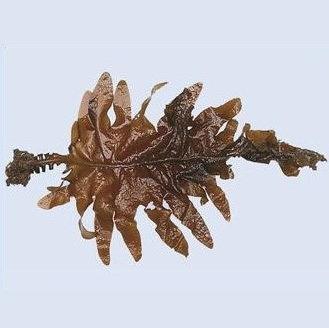 Wireweed competes with native seaweeds and sea grasses through rapid-growth, shading and abrasion. 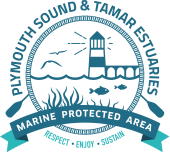 It can be a nuisance in harbours and shallow waters where it is a hazard to boating due to entanglement of propellers, however in the Tamar estuaries area it is rarely found in marinas. It can dominate in rock pools e.g. at Wembury, altering the habitat and it is considered a risk to the ecological status of the Natura 2000 site. There is some concern over potential fouling of aquaculture installations. Whilst physical removal may be possible, care must be taken to prevent further spread of the species and re-colonisation from surrounding populations following clearance is likely.